Tomatoes are one of the most common vegetables in India. The red round fruit is eaten raw or cooked. All green parts of the plant are poisonous. 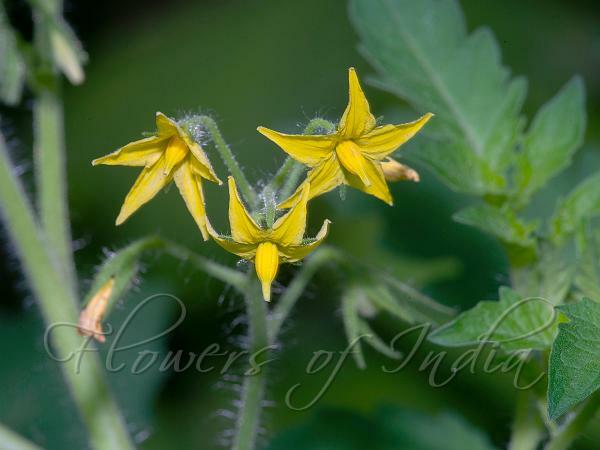 Tomato flowers are similar in shape to many other flowers of the solanum family, like brinjal. One of the most unusual features of the tomato blossom, very different from our Standard Blossom, is this: its anthers are grown together along their edges, forming a column surrounding the pistil's style. Once the flower is pollinated, the little ovary will begin growing very fast. The anther-cylinder around it and the bright petals will dry up, shrivel and fall away. 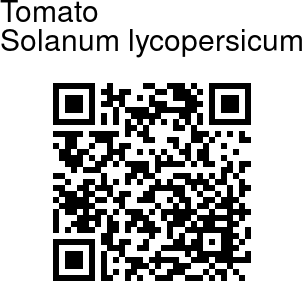 However the sepals will remain and eventually the ovary will be a magnificent tomato.